These dumplings are a product of my loving and nurturing hands starting from washing and drying Russet potatoes then baking them for an hour and a half to drain them completely of moisture. According to Nadia G of Bitchin’ Kitchen, the process makes the gnocchi lighter and less dense so I have to conform as I am wont to do when I’m just learning to make something. Yes, follow first then play around it and do it your way when you more or less know how it’s done. 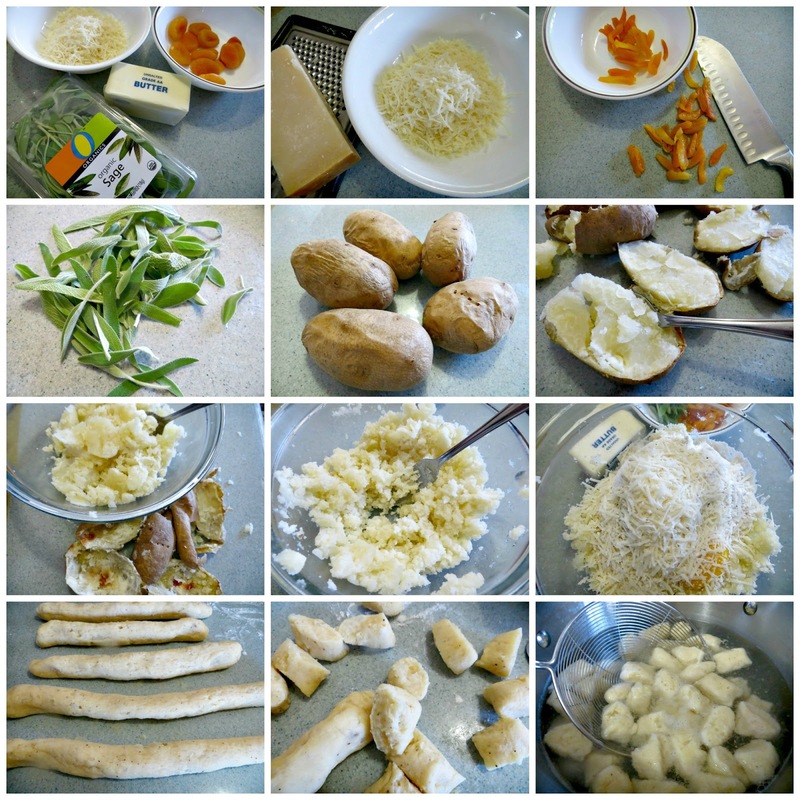 A little rolling and slicing of the dumplings and tossing the ingredients together; I can't think of anything tastier and easier to make than these gnocchi. Gnocchi are served as first course of the meal or as an alternative to soup or pasta in Italian households. I served it as a side to steak and grilled corn but I can eat it by itself. 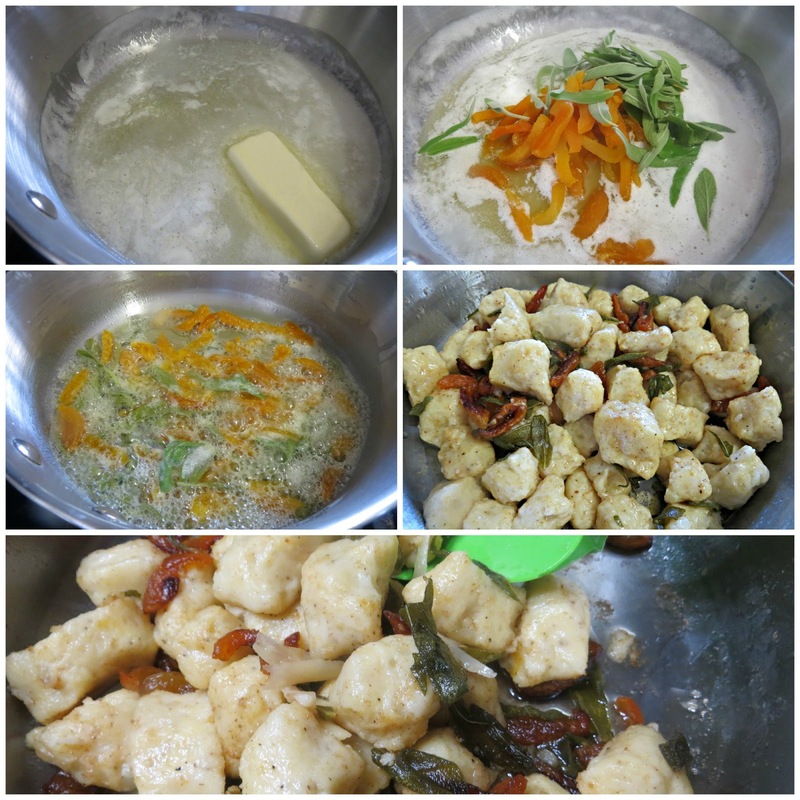 The gnocchi are indeed light and the cheese and egg made the dumplings creamy. Toss them in nutty brown butter with soft and chewy apricot with crispy sage and it works really deliciously. Thanks K, and we miss you just as much! This you can make so easily but it would have been nice if I serve it to you first. This reply is so late but that's an awesome dinner you prepared. I'm sure your dad and Mr. K were pleased.